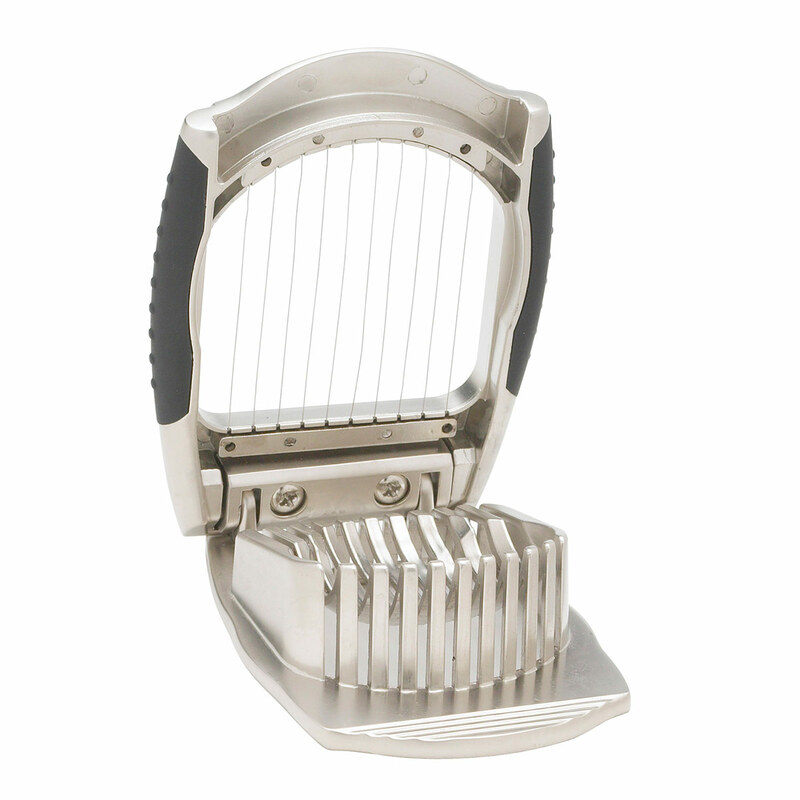 Deluxe Egg Slicer is perfect for quickly slicing and dicing hard-boiled eggs. 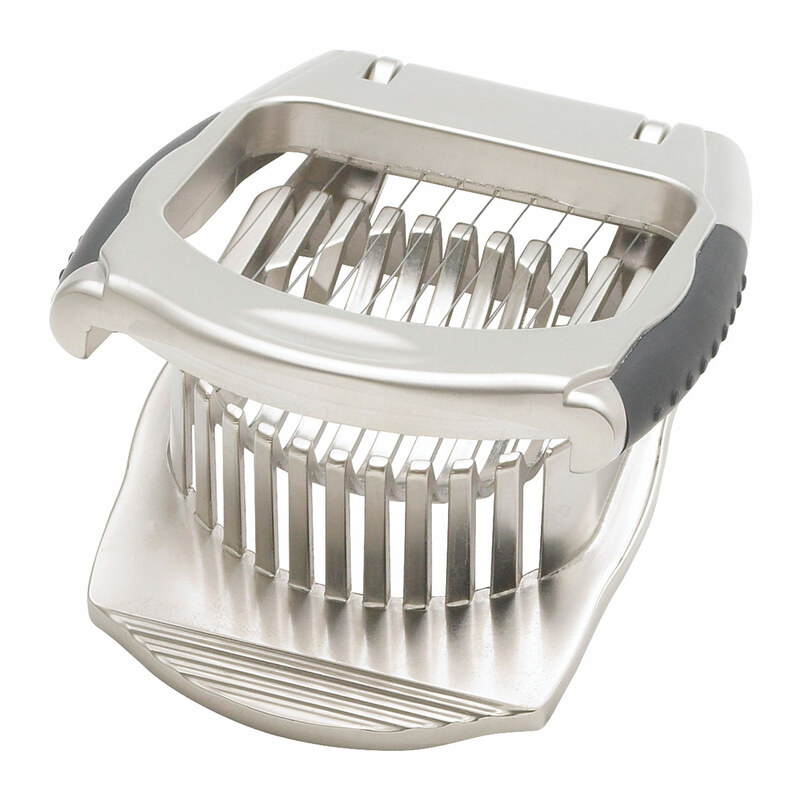 The base cradles the egg while the slicing wires cut perfectly even slices. Rubber side grips and non-skid bottom adds stability for an easy cut each time. Also great for mushrooms, strawberries and other fruits or vegetables. Enhance soups, pasta, lasagna, and more. Quickly prepare salad toppings, breakfast casseroles and stir fry recipes. Made from zinc alloy with stainless steel wires. Hand wash only in soapy water. Measures 4 1/2 x 3 1/2 inches, weighs 11.2 oz.